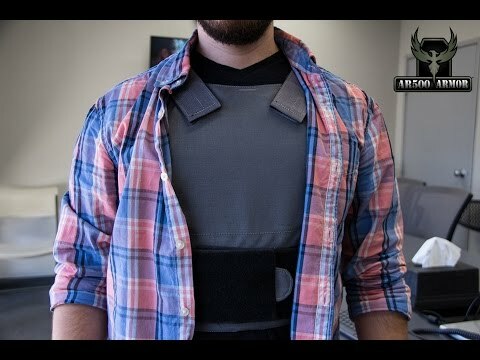 AR500 Armor® Concealment Plate Carrier! Rifle threat protection designed for concealment where low visibility of your body armor is required. Every curvature and angle is specifically designed to minimize printing when worn concealed. Compatible with both AR500 Armor® Level IIIA Soft Armor, Level III hard Body Armor, Level IV Hard body Armor, and our Trauma Pads in both 10" x 12", and 11" x 14! The AR500 Armor® Concealment Plate Carrier is the carrier to beat. Imagine a plate carrier that fits under your regular Polo and offers rifle protection, it's now a reality. Our Concealment Plate Carrier does an exceptional job when paired with AR500 Armor® Curved 10” x 12” Level III Advanced Shooters Cut Body Armor. Ultra-Light Weight and Ultra Low-Profile result in a perfect concealment package under Polo's, Button-down Shirts, and Jackets. I purchased one of these a while back and still wear it once and a while just to keep the feel of it sort of speak. It's what you would think, low profile, very basic while still being what it is. It's definitely not comfortable especially the shoulder straps but that's the sacrifice for low profile, and a thin shirt underneath solves that problem. It isn't something you will hide under a t-shirt obviously but you could get away with it under a sweatshirt or coat fairly easily. As a small and thin person i will say that the shoulder straps need to be pulled in so far that there isn't much velcro left to stick to each other as much as there could be and the extra length of straps then stick out so that's something to consider. It takes up about as much space as a small folded blanket with (curved front and back) plates in it so its almost no space at all.